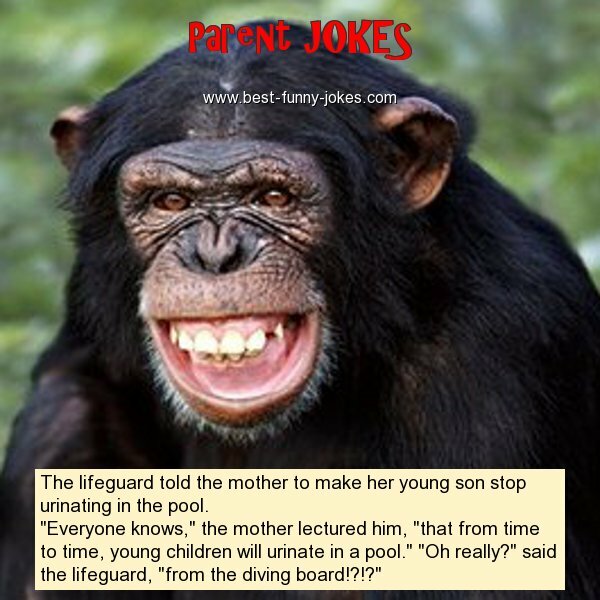 "Everyone knows," the mother lectured him, "that from time to time, young children will urinate in a pool." "Oh really?" said the lifeguard, "from the diving board!?!?"